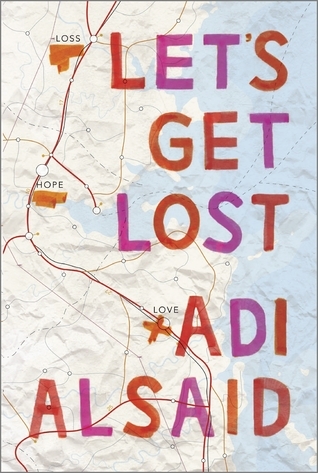 Let's get lost! Sounds fun isn't it? I seriously had fun reading the book. I fell in love with the beauty of the cover. It's really cute actually. Simple but catchy and title made me curious. Let's get lost meant so many things though. But once you read the book you'll understand why is it entitled as that. I really had fun reading each persons story, there were five of them and everyone's pretty. Each story has a lesson, could be love, hope, failure and more. The character's goal to reach the Northern Lights is kinda weird but she has reasons which makes everything interesting. In her journey, she met different people and she helped them changed their lives. Reading the book makes me wonder who she really is, I was thinking maybe she isn't human, maybe she was just pretending and maybe she's an angel because she kept helping strangers. It was really interesting and that makes this book awesome.For me the book is kinda tricky, I had so many questions in mind like who she really is? What will happen to the guy she left behind? Would they meet again? Is there a chance that the people she helped could contact her? What happened to those people now? And so many more things that is running inside my head. Her travel to reach Alaska inspired me as a reader. It was like while she is traveling, I am traveling with her. It was like I'm inside the book, inside her car we travel together and discover what's with the Northern Lights. I was so lost in the book. The journey to Alaska is not just for fun. The character had her goal and reasons. What are those? Read the book because it is all in there. Readers must see the beauty of this book and enjoy each person's story and from every story of every people they must pick some value from it. Awesome is not enough for this book, this is special and beautiful and I wont get tired re-reading this. I fell in love with everything. Happy endings, change, friendships, hope and love that's what this book is all about. I am inspired actually and this book helped me finalize my decision that I should go for traveling not just to find myself but to meet people. Not just to enjoy but to see what's out there. And when I come back, I have some thing to share with everyone.